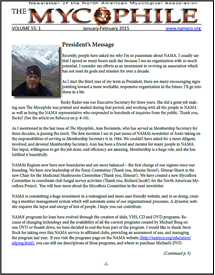 NAMA publications include a bimonthly newsletter, The Mycophile, and an annual journal, McIlvainea. The Mycophile is a great source of club information, news, events, book reviews, articles, photography contest results, and the mushroom of the month. "Birds, flowers, insects, stones delight the observant. Why not toadstools? A tramp after them is absorbing, study of them interesting, and eating of them health-giving and supremely satisfying." McIlvainea is a peer reviewed journal, with scientific papers, toxicology reports, and more. 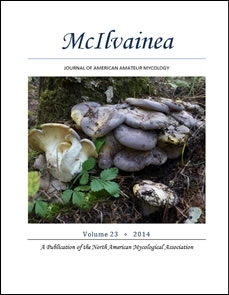 Volume 23 of McIlvainea is now available online.